Documented by Vilmorin in Les Plantes Potageres (1883). 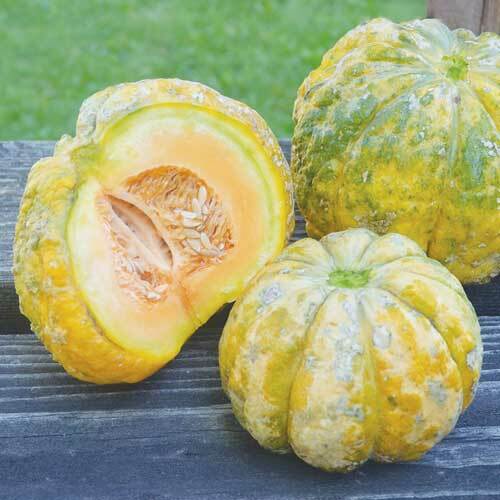 This cantaloupe was once a favorite of French market gardeners. Fruits weigh 4-9 pounds and have beautifully warted skin and dense sweet flesh. Almost too pretty to eat! The fragrance when fully ripe is incredible. Like all rock melons, Prescott will not slip from the vine. Good drought tolerance. 85-95 days.